Live shows are a highly valuable resource for most artists, independent or otherwise. There are not many activities that provide the chance to engage your current fan base, acquire new fans and make money instantaneously, but live shows are a highly effective way to do all three. In order to make the most of the potential gold mine of live shows, you want to make sure you’ve optimized your business. Here are a few things to consider while planning your first tour. Your Purpose: When touring, your goal is usually to make money, or to make new fans. Ideally, you should be able to do both. However, if one area isn’t going well, focusing on your long term goal will help get you through the rough patches. If your ticket sales are down, make sure you’re putting on the greatest show possible and collecting data about the fans who are in attendance. Encourage your audience to join your e-mail list so that you have more opportunities to connect with them in the future. If ticket sales are up, you should also take time to analyze what’s working so well, and see where you can improve. Either way, remembering why you’re on the road in the first place will help drive you to success. Use Fan Insights to Plan Tour Stops: The most important factor in the success of your tour will be attendance. If your fans don’t show up, you’ll build a poor reputation among venue owners and booking agents, making your next booking round even more difficult. One way to set yourself up for success is to plan the tour route based on the number of fans you already have in a certain area. The packed venues will create a great story for the media, and as they say, success breeds success. 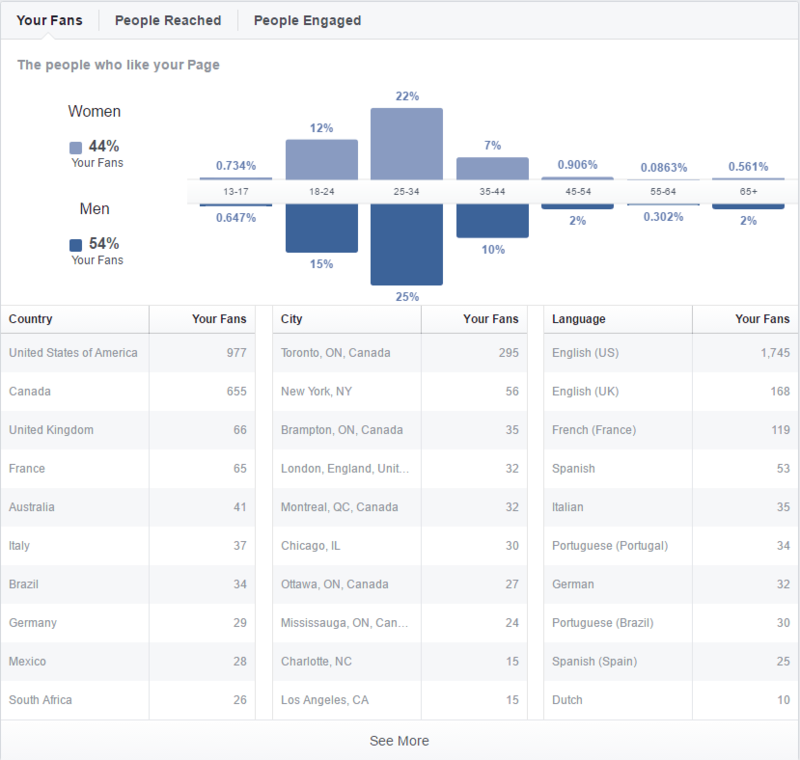 Below, there’s a screenshot of Facebook Insights for a real artist. Using this info, you can see the top 5 areas where her fans are concentrated. Using this information will help you understand your audience, and as an added bonus, can convince booking agents that you’re worth their time. Budget, Budget, BUDGET! : Touring can be one of the most lucrative revenue streams for artists, but also one of the most costly. Every tour will have travel and lodging costs (even if you sleep in the van, you’ll have to pay for gas). It will take money to hire assistants to help set up and breakdown the stages. You’ll need an allotment for merchandise to sell, meals, and even laundry! It is not good practice to rely on ticket sales to fund your tour (something about counting chickens before they hatch), so you need to establish your budget early in the game, and prepare for the worst case scenario. If you don’t sell a single ticket, you could be out thousands of dollars; so it’s best to have a fallback plan. The budget will let you know exactly where you need to adjust. There is much to consider when planning your first tour, but as you can see, there’s also great opportunity for success. Your first tour is the first chance you get to really establish yourself as a great overall artist. Don’t let poor planning cloud anyone’s judgment about you. Take some time to be realistic about your dreams, then work hard to make them happen. The sky is the limit!